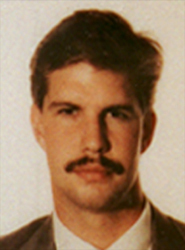 On February 28, 1993, Special Agent Robert John Williams was part of a large, specially trained and well disciplined force of ATF special agents from the Dallas, Houston and New Orleans Field Divisions; assigned to execute Federal warrants at the Branch Davidian Compound. Unfortunately, the Davidians had been alerted to the impending raid by a local postman, who was also a cult member. When the agents arrived, the fanatical, heavily armed, cult members were waiting in ambush as the agents disembarked from their vehicles. Koresh was outside on the porch, but as the agents approached telling him they had a search warrant and instructing him to "get down," he retreated inside the house. When the agents approached, a burst of gunfire was fired through the door, wounding one agent. A long and difficult gunfight followed over approximately 2 1/2 hours, with agents unable to penetrate the main house and having little natural cover to protect themselves from the Davidian gunfire. The Davidians had excellent cover and the tactical advantage had shifted to them. Agent Williams joined ATF on October 9, 1988, and was assigned to the New Orleans Field Division, Little Rock (AR) field office. He carried badge #2933. During his short career, Agent Williams received several Letters of Appreciation; for his investigative assistance to the Arkansas State Police on a large commercial fire; as an assistant instructor at an explosive handler's school for police officers; and for his assistance in an explosives safety training seminar for members of the Arkansas Fish and Game Commission. 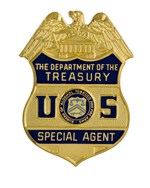 Agent Williams' father, James, is a retired United States Secret Service Agent. Rob was a graduate (1988) of Florida State University. He was also an accomplished and certified scuba diver. Agent Williams was born in Baltimore, MD. He was survived by his wife, Cindy.